Translation has an important role in our lives. Unfortunately, we don’t always notice it or realize its true value. High quality translation is often like good service: we only pay attention to its absence. Still our life would be very different without translations. Translation enriches human life by making it possible to communicate and share information across language borders. For example, religions and knowledge have spread via translated texts throughout the history. Every book, study or research has been written by someone in some language. Even a thought has an original language. The majority of the overall information that we have today is collected piece by piece through translation. Interpreters and translators have a remarkable role also in the world politics. The international political relationships are managed with the help of translation. Likewise the EU and its parliament couldn’t exist without its massive translation processes. Did you know that the EU has 24 official languages and all the EU documents need to be available in all these languages? It must be a huge pile of paper! History and politics may feel distant in our everyday lives but translation touches us in more concrete ways too. Translation brings stories closer to people and people closer to each others. For example, foreign movies and TV series are mostly subtitled or dubbed when aired in another country. Likewise, translated literature has made many novels international successes. By watching or reading the same story people around the world will learn from other cultures and create a shared experience. A similar effect is acquired in the internet where people sharing the same type of interests can communicate and share knowledge. Although people can speak and read more languages today than the previous generations could, there is always one language that is preferred over the others. Our online behavior shows this clearly because the popularity of various social media services and other online services seems to be strongly related to the fact whether the service is translated to our strongest language. Like translations, also the lack of translations affects our lives. There are many difficult loan words that don’t feel natural in most languages. Those words don’t belong to the language; they are brought from the outside. These loan words probably have strange spelling or pronunciation when compared to the original vocabulary. They are difficult to say and write, and they fit poorly next to the local words. In this context, the lack of translation is making the life a bit more complicated. The human population wouldn’t be at this point without languages and translations. The international cooperation and communication have made it possible to develop high-tech equipments and invent new possibilities in all areas of human life. We really should start appreciating the translation work more. Share your knowledge and programs with people around the world. All software and document localization can be managed and processed with a single tool. 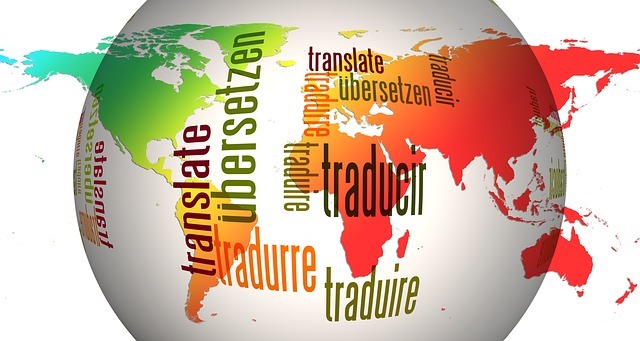 Learn more about Multilizer localization tools.